They're here to save the POOP! 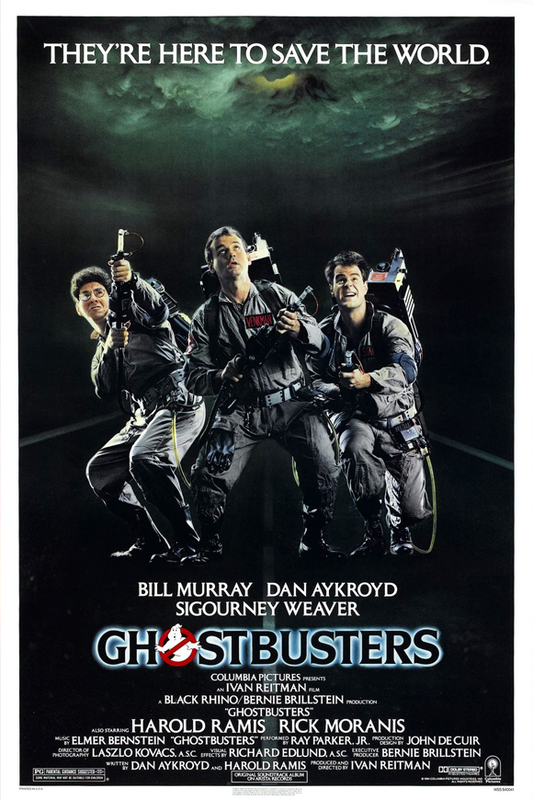 Dustin and Jessica wrap up #FranchiseOriginsMonth this week with Ivan Reitman's 1984 film GHOSTBUSTERS! This week's movie was Dustin's pick. Join the Poops as they lavish this comedy classic with endless praise all while swearing they're not wearing their nostalgia goggles. They openly admit, however, that this is a flawed masterpiece. What issues could they possibly have, however minor? Tune in and find out! Please subscribe to the podcast on iTunes, Stitcher, Google Play, and anywhere else you get podcasts. Leave a review on one of those platforms, and the hosts will read it on the show. Follow Popcorn Poops on Twitter and like the official Facebook page for frequent updates on the status of future episodes, including a weekly movie still identification game. Correctly identify the movie from the screenshot, and you'll be mentioned on the podcast along with anything you'd like to promote. You can also follow our gaming channel on Twitch. Turn on notifications so you'll know when we go live. Be sure to check out this week's PooPal, the The Film Pasture podcast!